Entering into our first year with a second grader had me an anxious mess. 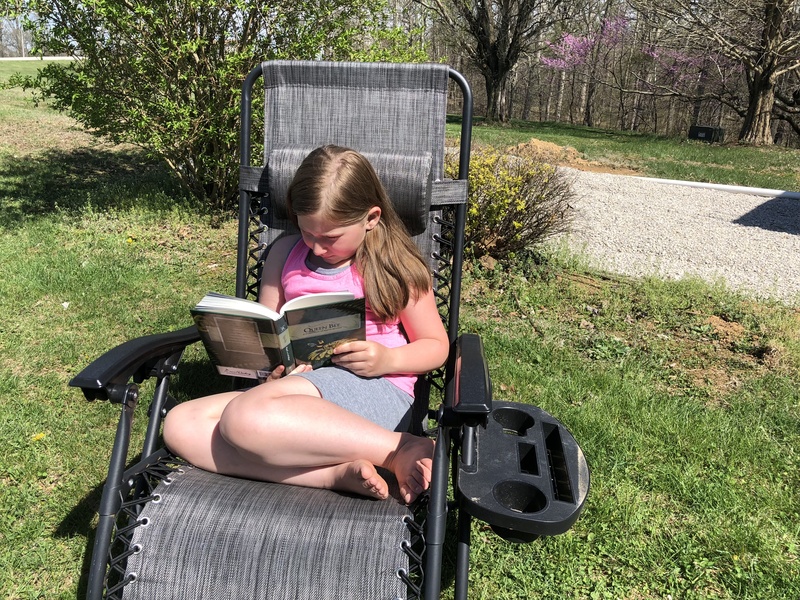 She was still a struggling reader, I was reminding myself daily that learning to read is a process, and we were both tired of searching for what would finally work long-term. Enter All About Reading Level 1 which saved the day and soon she was ready for both All About Reading Level 2 AND All About Spelling Level 1! One of my favorite things about AAR is how open-and-go it is once it has been setup for the school year. 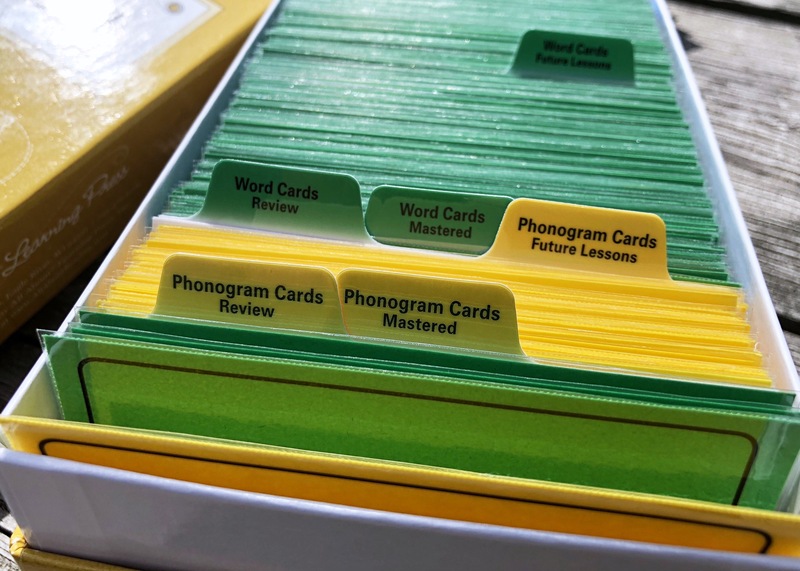 I laminate the flashcard sheets, cut them into cards, organize them into their box, and we are ready to start! The prep work is basically non-existent in the day-to-day and the lessons are lightly scripted helping me know the best way to explain. The best part of All About Reading according to our littles? The games. They love how hands-on the lessons can be and this doesn’t stop just because we’ve reached a higher “grade level”. Often we find a program we enjoy and then once we’re past the basics it becomes boring and daunting. 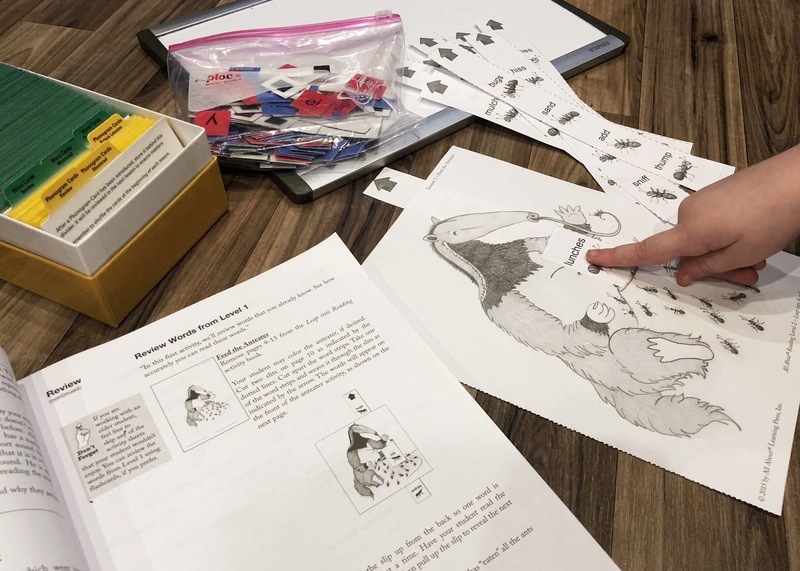 With All About Reading Level 2 there are still matching games, cutting, gluing, and opportunities for painting or coloring. The hands on approaches paired with the interactive assignments and confidence building practice really kept our kids excited about reading! Along with the complete kit, many families choose to add an interactive kit to their learning arsenal. There are two versions, Basic and Deluxe, which are used through all four levels of All About Reading. 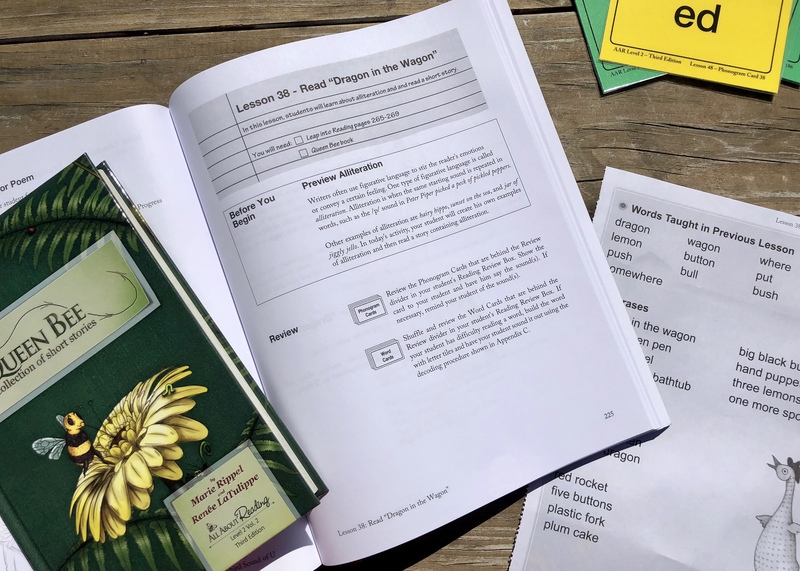 For our family we chose the Deluxe and add a reading review box as we grow. This allows room for our cards to be laminated and keeping each child’s cards separated simpler. How Is All About Reading Level 2 Organized? Each lesson is laid out similarly which I loved for keeping me on track. There is a preview and review section where both parent and child look back on what has been learned, what is coming, and sometimes how it is tied together. The “New Teaching” section will introduce new word cards, offer activities for learning the concepts, and work for fluency. 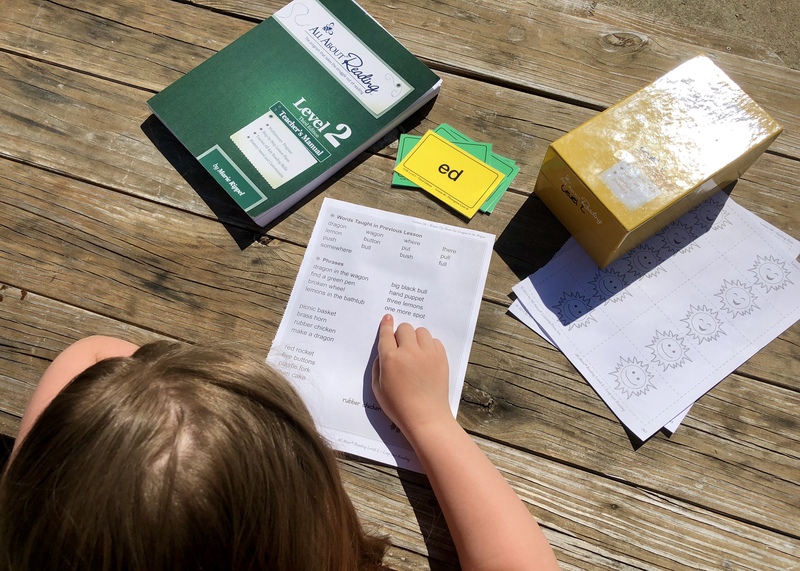 I love the way All About Reading approaches “leap words” which are sight words and the girls are always proud when they can move their cards from review to mastered. To wrap up a lesson there is a “Read-Aloud Time” which is 20 minutes of parent reading to child. 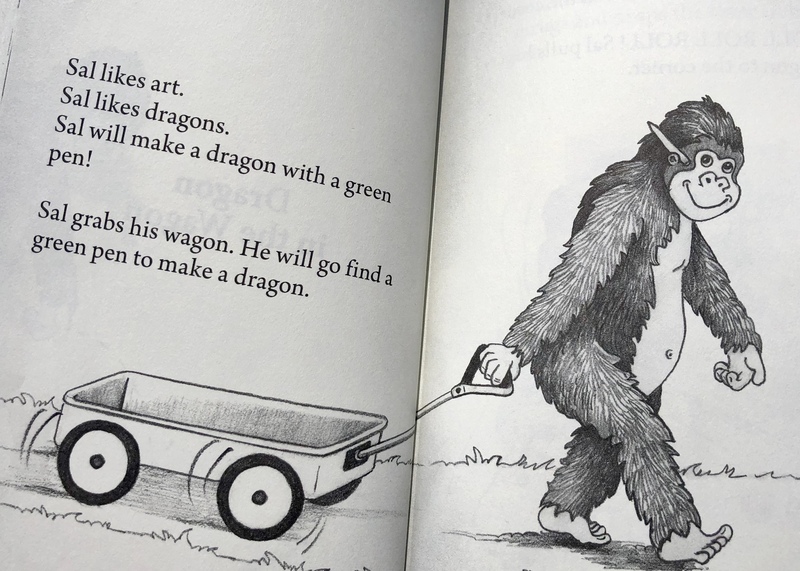 It is suggested that this be a story or a poem and I believe it is fundamental. Showing our children that I love to read and sharing stories together makes my heart smile! We use this time to read our library books or a segment from our current shared chapter book. This would also be a great time to read their own work back to them if they read from one of the student readers. Why Does All About Reading Work? For our children, it comes down to one main thing: the multisensory approach. All About Learning Press utilizes the Orton-Gillingham method of learning through their programs and this doesn’t stop at All About Reading Level 2 or 3 or 4. It is woven within all of their programs, advisory articles, and free activities. They focus on decoding, fluency, vocabulary, and comprehension but they never lose sight of how all of the senses play into reading. All About Reading Level 2 is honestly one of the best programs we have ever tried out. Sight, sounds, and touch are all integrated deep within the lessons keeping both young and older children intrigued. They even offer alphabet themed recipes on their website, just one more way they make the entire learning process exciting and engaging. Head on over to All About Reading where you can find a placement test for each of their levels. They offer Pre-K, Level 1, Level 2, Level 3, and Level 4. All of which are backed by their ONE YEAR guarantee that you’ll love their program or they’ll refund your purchase. That’s right! You could use All About Reading Level 2 for an entire year, return it in any condition, and still receive a refund if your child just didn’t see progress. I say that’s some serious self-confidence. They know they’ve got a winning system. It’s time for you to find out for yourself!